On 10 February 2017, the REVEAL project consortium had its final project review at the European Commission in Brussels. 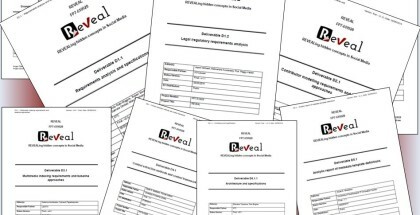 The independent project reviewers concluded that REVEAL had met its aims and objectives successfully. They furthermore approved all submitted project deliverables. The first set of final (and public) project deliverables are now available on the website in the respective Deliverables section. If anything takes your interest, please feel free to get in touch with respective authors. Likewise, contact us if you are interested in future cooperation opportunities. We would be delighted to hear from you with any kind of feedback. Jochen Spangenberg on behalf of the entire REVEAL project consortium.